I bought this book along with several other books for a month-long trip to Denmark. I was staying with four families that I had never met, rather than staying in hotels, and I wanted to make sure I knew the proper etiquette. I found the information in this book to be spot-on, and very helpful. 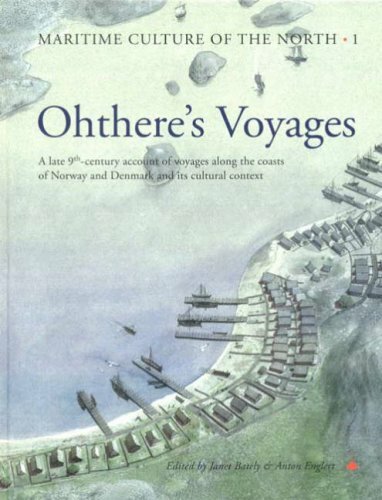 This is definately the book to purchase if you want to know more about the people of Denmark. This is the first critical review that I have ever left on Amazon.com.It is not one that I take lightly. I purchased this book, and have read through it.It has proven an extreme disappointment.I anticipated an in-depth understanding of Danish culture and mannerisms.Instead, the book is pedantic; it glazes over topics with massive generalizations.Also, I was a bit surprised by a perceived political 'bent' in the book -- indeed, it appeared that the author was rather judgmental on a number of socio-economic aspects of Danish life. This is the type of book that you would expect to find hyped in the 1950s -- short on content/information, short on a perceived, unbiased perspective.I found little useful information of use on "customs and etiquette. "A travel book from a noteworthy company (such as Fodders, Rick Steves, Lonely Planet, Frommers, etc.) would likely provide you as much, if not vastly more, relevant information for your trip to Denmark. Again, this was not easy for me to write.Simply, I felt such disappointment with the book that I felt it necessitated a critical comment. 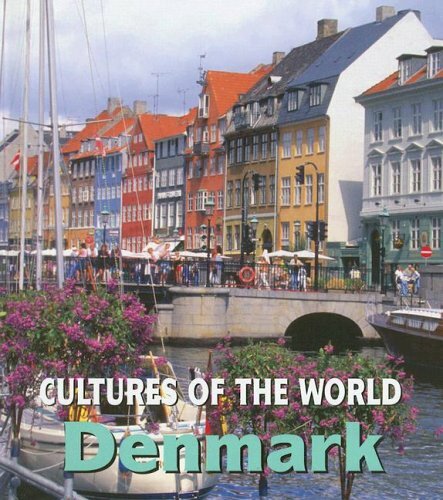 I recently purchased this book (pocket size) for myself as I am getting ready to visit and meet my fiance's relatives in Denmark (Danmark in dansk; DK for short).I have been trying to educate myself on what it means/feels/encompases to be Danish (important for myself and future family) and have been reading up online (wikipedia, visitdenmark - the official tourist site, etc.) and talking with friends and loved ones.This was the best book as such that I could find and understand & learn more about Danes (and their uniqueness apart from the rest of Scandinavia). Mark Salmon grew up in Ireland, is a Jurist and Educator.Has an M.A. in English Literature, and immigrated to Denmark in 1998, where he workds as a TEFL teacher specializing in Business English, and as a translator and cultural consultant.Has also traveled extensively throughout DK and Europe. 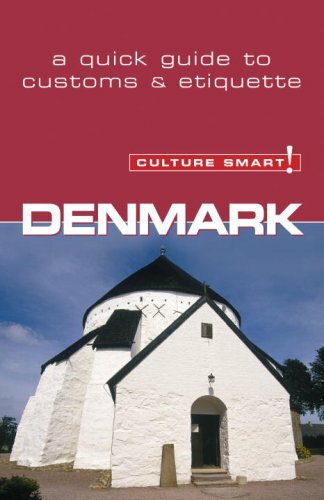 * very relevant and contemporary information on the CULTURE and CUSTOMS of Danes and Denmark today. * very well written prose (not infused by impression and personal opinions, but rather of concrete observations and well-rounded living experience in Danish society). * fun to read (each chapter has numerous sub-sections that are terse yet with a lot of condensed and relevant information). This book was a terrible introduction to Denmark and the Danes, primarily because it was soooo negative!When I arrived in Denmark I found the Danes to be nothing like the ogres described in this book.I did, however, give the book two stars because there are some good things in there about the government and history.Choose another book as yourintroduction to Denmark! I'm an American who lived in DK for a time and am returning. I thought the book would help because I had some problems previosly adjusting to danish culture. For example, it took me a long time to realize that cultural traits such as no customer service, the lack of polite words in the language itself and the general shyness of people wasn't personal. 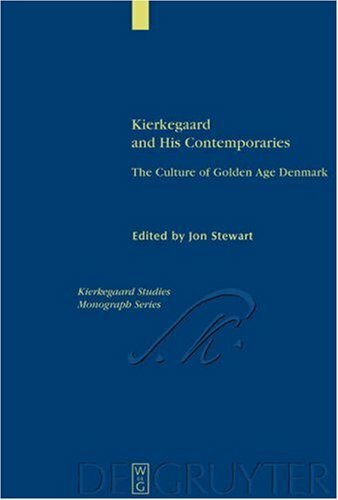 (i actually hated some things) But this author goes so far as to hate every aspect of danish culture to the point where it becomes a distraction. He hates the people, the weather, the countryside, the government, tax. At the end of the book he leaves the country because he couldn't adjust. So, don't expect this book to help you adjust and don't take the text that seriously. 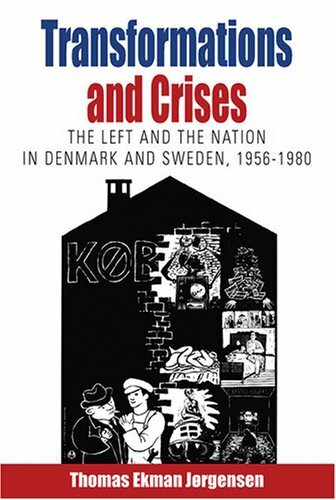 The author has a very skewed, seeming angry perspective of DK (even from my pov as someone with a few grudges against the country...I found myself taking the danish side) It may be helpful still to have a basic overview and it gives some advice on where to look for a job, orgs to contact for help, ect. Overall the book was slightly useful but some of it is untrue and prejudiced. Interesting, but more discouraging than insightful. 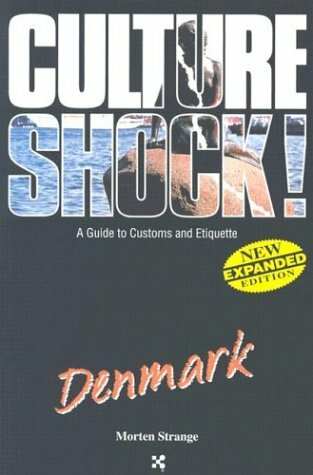 I purchased this book prior to moving to Denmark from the US.This was the second Culture Shock book which I purchased and I have been disappointed with both books.Overall, I find the Culture Shock series to present the worse stereotypes of a culture.Some people may find these stereotypes to be true, but I certainly have not experienced all of the difficulties which the author has described.The author is Danish, but has returned to Denmark after living in Asia for a good number of years.You will find the author lamenting about such things as not being able to find someone to wire his stereo for him which he blames on the Danish mind of being self sufficient.I do think that the author does have some valuable insights into the Danish culture, particularly the welfare state.However, overall I found the advice to be discouraging rather than useful and not indicative of what I have experience during my past year and a half in Denmark.I would recommend referencing one of the guide books such as Rough Guide or Lonely Planet instead. 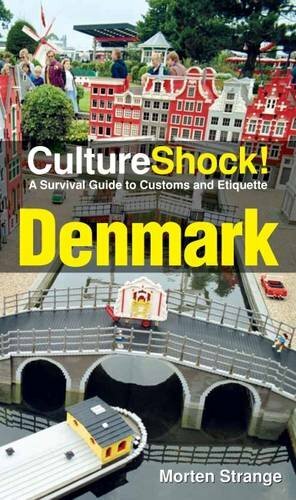 I read Culture Shock Denmark! 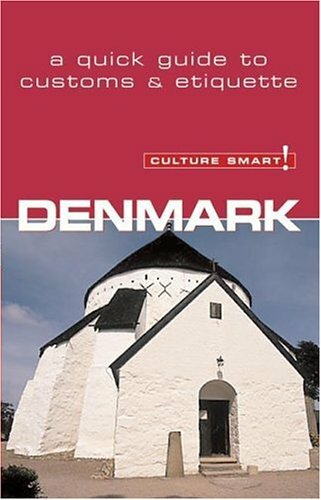 I thought this book was boring but I think this book would be good for people that want to travel to Denmark. It talks about how to live in Denmark and how to communicate. it talks how good the jobs and how to get into them. The reason why I thought this book was boring was because I wasn't getting into the book. I would rather read a story book about denamrk. This book only had facts about it but if you really want to know how people are in denmark this would be a good book. This book would also be a really good book it you are doing research on Denmark. A rare look at American immigrants to Denmark that reveals how, for some, the cultural differences between the United States and Denmark can generate creativity. Thomas constructed an 11-point questionnaire designed to find out why American writers, artists, and teachers have chosen to live in Denmark. Of pivotal interest is whether these emigrants from America are happier and doing better, more creative work in Denmark than they were doing at home. The immigrants who tell their stories here are the intellectually curious who have swapped one culture for another, who have dared enter a social and cultural limbo in which they can never be Danes, nor ever truly American again. As Niels Ingwersen, Managing Editor of Scandinavian Studies, notes, "The book is about a small group of people, but their reactions, thoughts, and emotions—not least their experience of existential ambiguity—is one that most expatriates know well." 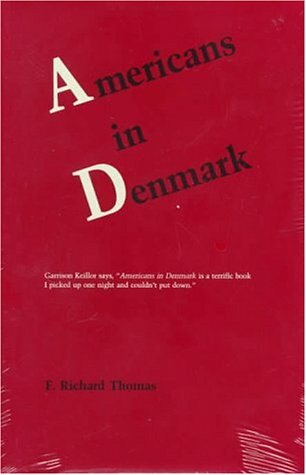 These essays, Ingwersen explains, "bring out, often eloquently, often poignantly, why the authors left America and why they probably will not return to their native country even though they are quite critical of Denmark and admit that there is much in America that they will miss." In general, these people are not America bashers; some even object to the term expatriate as connoting a lack of patriotism. 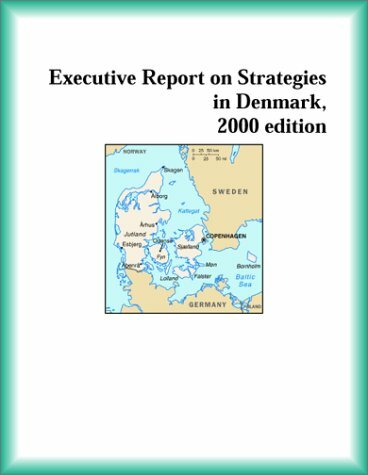 This digital document is an article from Scandinavian Studies, published by Society for the Advancement of Scandinavian Study on December 22, 2004. The length of the article is 1634 words. The page length shown above is based on a typical 300-word page. The article is delivered in HTML format and is available in your Amazon.com Digital Locker immediately after purchase. You can view it with any web browser.